A hero space is a large, over-sized banner section placed prominently at the top of a website. This space is usually the first visual interaction a visitor will have with your website and conveys the general message or feel for your healthcare organization. It only takes 50 milliseconds for users to form an opinion about a website so it is important to have a clear, captivating hero space that visitors can identify with and relate to when first visiting your website. Here are a few examples of healthcare providers that utilized this space effectively. Regional One Health does a great job using a color gradient video to leverage storytelling. The tagline “Your life. Our passion. Discover Regional One Health.” clearly comes to life as the video scrolls through moments of healthcare professionals in action, as well as the personable moments between patients and staff. Blue, a color most often associated with loyalty, is well mixed into the underlying message that connects people to providers. Centura Health has rapidly expanded across Colorado and Kansas. As some providers go big, they can lose track of why staying local is so important. The key is to become known as a “big brand” and still remain a community healthcare provider. This is clearly represented in their messaging “Every community, every neighborhood, every life – whole and healthy. Their goal is to become a local provider, available to all communities across Colorado and western Kansas. Along with their clean layout, Centura provides the user with a simple way to navigate to their nearest provider through a search option located in the hero image. 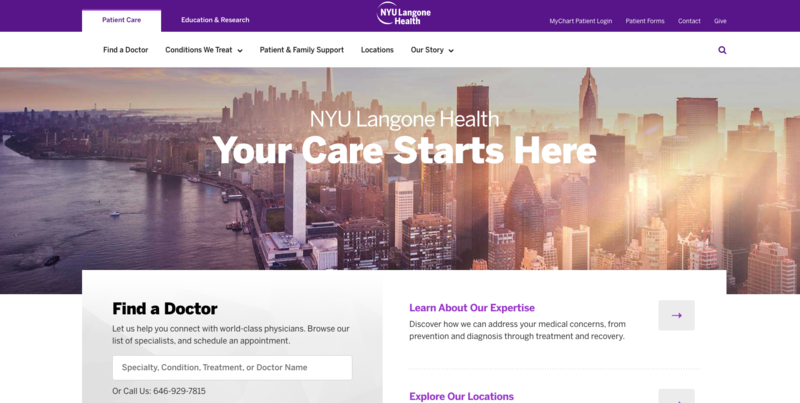 Bright colors and clean spacing make NYU Langone’s website look great on any device. The website uses a soft gradient mix of purple and gold to blend their brand colors into a sunset shot of their location facing the East River. 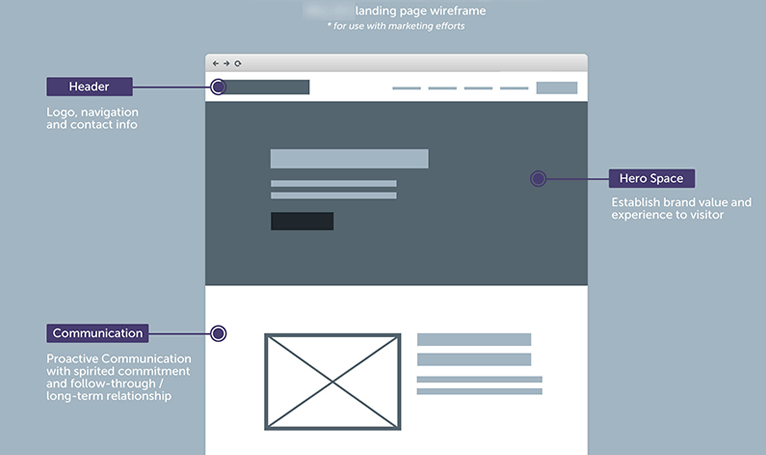 Simple navigation and great use of whitespace make forms, links and CTAs stand out, providing a lot of information and direction to the visitor without crowding or overwhelming them in their decision-making process. Sometimes a creative marketing campaign takes on more than color, layout an messaging. 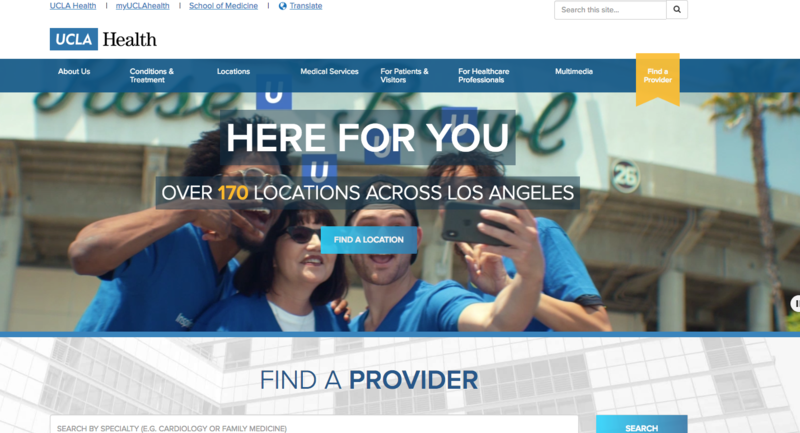 UCLA Health, for example, highlights their “here for you” tagline in a quite literal, visual representation of “you as the individual”, instead “you all” with a “U” floating above the people of LA. The video highlights the pride of Los Angeles featuring beaches, culture, people and other landmarks. After visiting the website, it is clear they identify with being the go-to healthcare provider for citizens of Los Angeles. Casey is the Manager of Marketing Strategy and Analytics at Viv Medical Marketing. 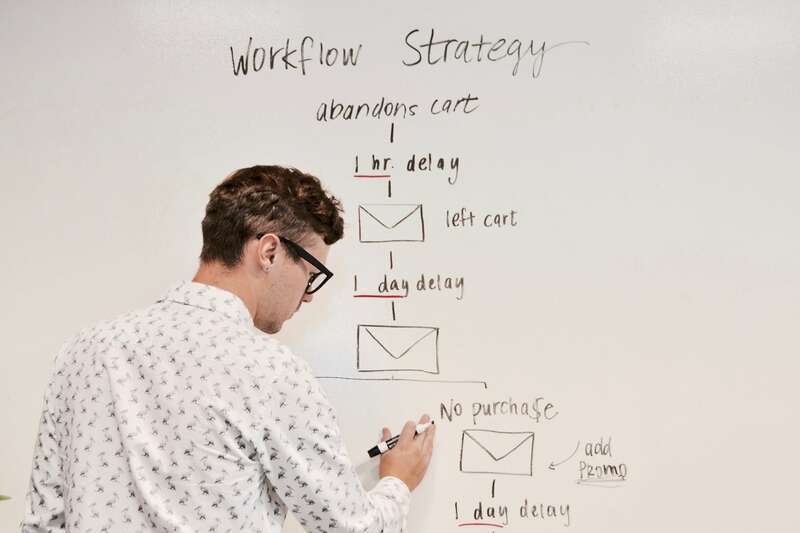 It is his philosophy that every brand, big or small, has stories to tell — stories that will not only engage, inform, surprise, delight, and impact their audience, but that will also deliver on measurable business goals. 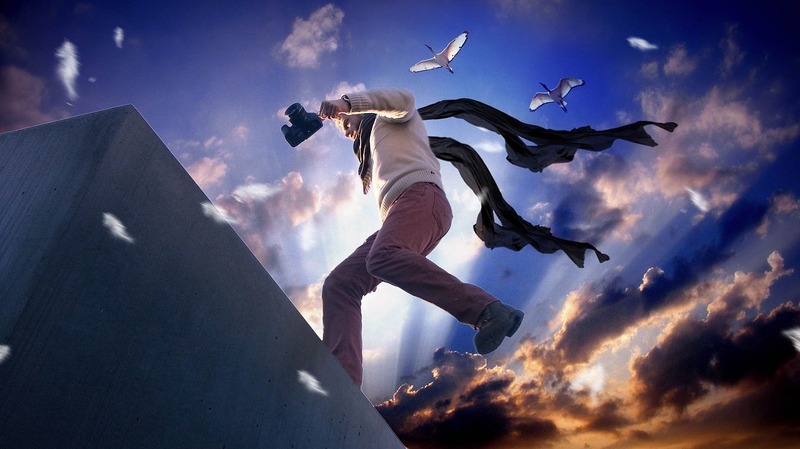 As a digital marketing professional, it is his goal is to act as the conduit between brand and consumer.